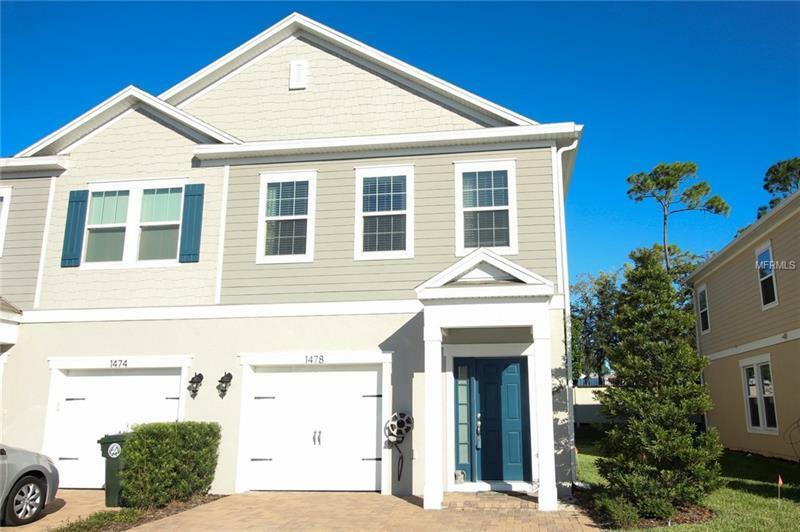 Enjoy your new, ready-to-move in, 2 story Townhome offering 3BD/2.5BA home in Oviedo. Lots of natural light, the foyer welcomes you into a beautiful open concept kitchen with 42 inch cabinets and gorgeous granite island and counter tops. Enjoy your morning coffee in the covered lanai. As you go upstairs on the left you will find the Master bedroom with its large Walk-in closet. The Master Bath comes with granite countertops, a large glass-enclosed shower, dual sinks, and linen closet. Laundry room with WASHER & DRYER is centrally located near all bedrooms for convenience. Large community pool. All this in the GATED Mitchell Creek Community is located near shops, restaurants and Oviedo schools. A must see!